Read about my work in my July 2002 scientist profile on the Earth and Sky web site. Publications: Publication list, recent preprints, etc. My PhD Dissertation: The Surfaces of Europa, Ganymede, and Callisto: An Investigation using Voyager IRIS Thermal Infrared Spectra. U. Arizona, 1987. Full text and figures are available here. My 1-D thermophysical model, written in IDL, now downloadable for public use. 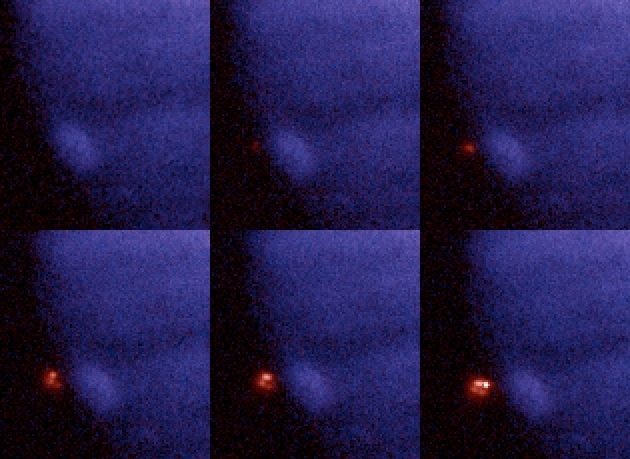 Io studies, from the ground and HST. Leader, International Jupiter Watch Satellite Discipline, 1993-2000. Science team associate, Composite Infrared Spectrometer (CIRS) on the Cassini spacecraft, with responsibility for thermal observations of the icy Saturnian satellites. Through 2002: Co-I, Photopolarimeter/Radiometer on the Galileo spacecraft, with responsibility for thermal observations of the Galilean satellites. 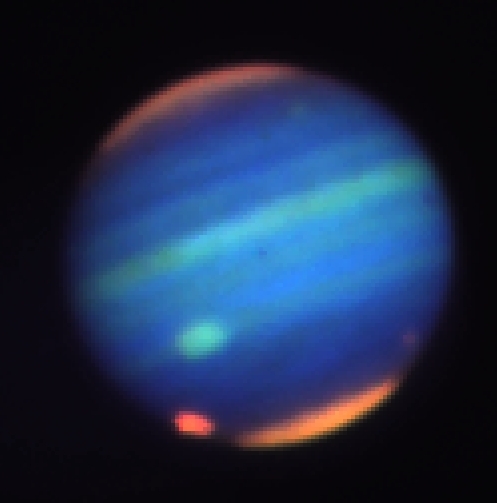 Mid 1990's: Comet Shoemaker-Levy 9 impact with Jupiter. IRTF filter housing info, for Ralph and Jim.